New York – Governor Andrew Cuomo, presented on Thursday a new proposal to attack the index of heroin addiction in the state. The report included 25 recommendations addressing the issue of substance abuse and overdoses in new yorkers. Cuomo considered that authorities and the general public should approach the problem with a different perspective, more comprehensive of the problem, as a public health issue and an epidemic. There are several angles at once in the heroin and other opioid substances’ abuse. Drug syringe and cooked heroin on a spoon. Among the proposal, Gov. Cuomo included limitations on prescriptions for pain management. This would mean that pain-killers would be prescribed for seven days tops, new strategies in the health care system to provide treatment to addicts quickly, changing insurance regulations, mostly in the financial structure and investment to provide more medications with the power to fight the overdoses’ effect on users. This also involves the creation of a network to provide easier access to this kind of drugs. Also, Doctors who tend to prescribe opioids (whether is it because of the nature of the conditions they supervise or whether as an alternative to traditional pharmaceutical products) would get mandatory training to prescribe opioids with specific and specialized knowledge on the substance. Drug markets and medicine providers will have to provide reports about their costs and prices regularly, as well. Overall, the proposal includes an investment of $166 million for drug-fighting programs, including the creation of a psychological support system especially to heroin and opioid addicts. The bill modifies the local funding contribution under the Medical Assistance Program, and it changes the Health Care Facility program in the city. Cuomo’s proposal also includes making statutory changes necessary to continue implementation of programs of medical aid, as well as amend the distribution methodology in the Physicians Excess Medical Malpractice Program. The plan aims to operate individual Special Needs programs and reform early intervention plans. Heroin addiction has been considered a crisis in New York since the late 90s. But now, heroin is cheaper, stronger, and easier to get. Raising public awareness on the opioid abuse has been the primary goal of organized groups like the New York State Senate, and legislators have implemented a variety of mechanisms. The I-STOP (Internet System for Tracking Over -Prescribing) project was one of them, restricting the availability of prescription drugs. Despite all institutional efforts, in 2014 about 800 New Yorkers died from heroin overdoses while around 1,000 citizens died from overdoses related to prescription opioids. That index proved that authorities’ mechanisms against drug abuse have not been enough. “Our goals are to prevent people from becoming addicted in the first place, while treating and assisting those who are already trapped in the cycle of abuse,” said the Health Comissioner of the state, Howard Zucker, who supports Cuomo’s proposal. Nationally, heroin addiction is almost getting to the epidemic level. To the New York Senate, heroin addiction is a public health crisis, an illness. Lawmakers considered that the problem is not about criminal justice, but instead, must be addressed a health issue. Therefore, the perspective is focused on treating the issue with a sensibility and rehabilitation facilities, instead of putting in jail drug offenders. Better messaging and education, insurance coverage and antidote availability were the main proposals made by the Senate and included in the 2014- 2015 Budget. 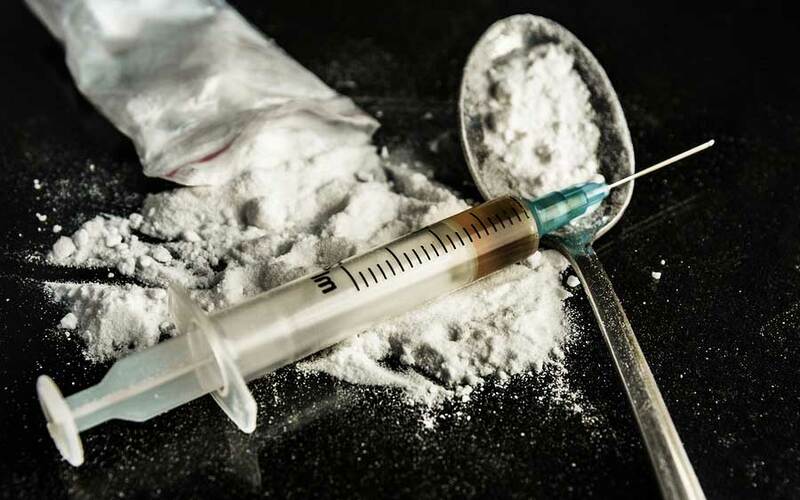 A report released by Thomas DiNapoli revealed that New York’s index of heroin and opioid abuse has exceeded the national average, information that moved Gov. Cuomo to build this bill of tougher proposals. According to the National Institute on Drug Abuse (NIDA), heroin is a drug that is synthesized from morphine and is classified as an opium-derived drug. Among the 4 million people that used heroin at least once in the United States, about 23 became dependent on it. Once in the body, the systems transform heroin back into morphine When it enters the brain heroin is converted back into morphine, and cells receive its effects as if it was morphine, so the perception of pain and the neurological reward systems responds. Processes like blood pressure and respiration also get compromised and altered by the heroin effect. Overdoses are quite dangerous since this critical processes are affected. For example, breathing can get tough, enough to suffer from hypoxia. Neurological effects of overdoses have the possibility to be a far-reaching problem since they can cause permanent brain damage.